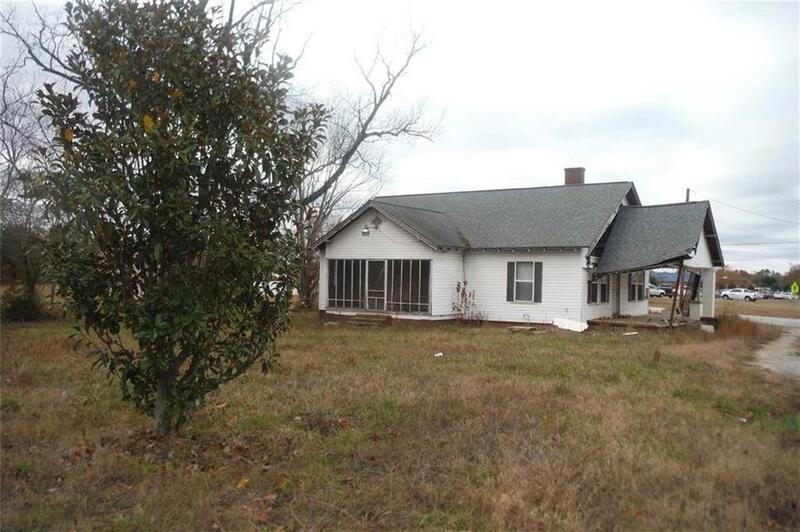 Convenient location and perfect lot for residential, commercial or rental opportunity! The lot is just under 1 acre. The home on property is a 2 bedroom 1 bath home with approximately 1200 square feet. Good size bedrooms with a nice living room area, dining area, and large kitchen. Home needs some TLC but the possiblities are endless. Been looking for your first flip.....here you go!